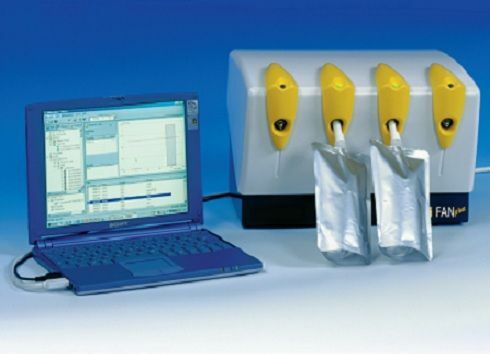 The 13C-breath test device HeliFANplus is a compact 13C-infrared analyzer with a high sample throughput. It is especially designed for performing the Helicobacter pylory breath test at the clinics and at gastroenterologists. • Small, compact device with minimum weight. • Fast measurement using the fourfold sampler with status display. • Easy connection to a PC or notebook. • Simple operation with user-friendly Windows software and integrated patients database.